Join a pro-ana group or start your own website. Anything that will keep you motivated. 28. Make an ANA scrapbook with pics of skinny models. The anorexic diet has been gaining a lot of popularity these days because of some amazingly working pro ana tips and tricks which have been revealed. Canada’s construction and maintenance industry will need to recruit an additional 300,200 workers by 2028, according to the labour market forecast released today by BuildForce Canada. While employment in the Canadian construction industry will be little changed over the next decade, adding approximately 44,100 workers or rising a mere 4 per cent, when coupled with the anticipated retirement of more than 261,000 workers, maintaining future labour force capacity will require increased focus on recruitment. 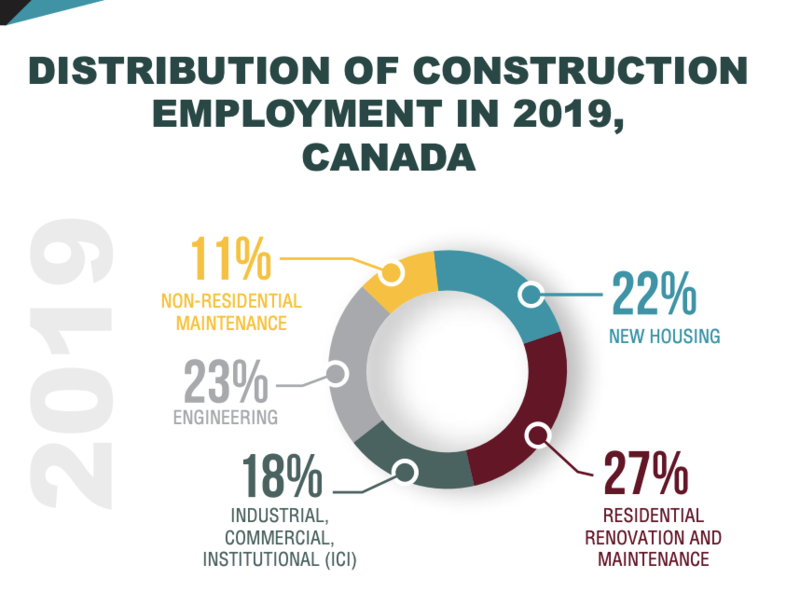 BuildForce Canada’s 2019–2028 Construction and Maintenance Looking Forward national report forecasts construction employment in Canada will strengthen modestly through 2020, as demands driven by major energy, public transportation, and other infrastructure projects rise to a near-term peak, offsetting a continued softening in housing starts. For the first time since 2009, employment demand is projected to ebb after 2021, once peak project requirements are met. Slower population growth limits construction expansion nationally over the latter half of the 2019–2028 scenario period, although a period of moderate growth is expected to follow in most provinces to 2028. Manitoba and most Atlantic provinces, with the exception of Prince Edward Island, are likely to see demands weaken and remain at lower levels of employment across the decade, most notably in Newfoundland and Labrador as several projects there end. Alberta and Saskatchewan are expected to see modest declines, but recover over the longer term due to renewed increasing demand for housing and the proposed starts of new projects. At the same time, demands in Quebec are sustained at recent peak levels by major project requirements. Labour demands in the non-residential sector will exceed demands in the residential sector over the next 10 years. Slower population growth and affordability challenges are expected to lead to lower demand for new housing to 2023, translating into fewer total jobs in the industry, but with retirements far outstripping reduced jobs, thousands of new workers will be required. Momentum is regained thereafter, as residential employment then rises from 2024 to 2028. Total residential employment is expected to rise by 8,400 jobs, or a modest 2% increase from 2018 levels over the next decade, as employment related to new housing is absorbed into renovation and maintenance work. At the end of the decade, non-residential employment is expected to increase by 35,700 jobs – an overall increase of 6 per cent, with gains in maintenance, and industrial, commercial, and institutional (ICI) building construction offset by modest declines in engineering construction. Industry retirements will be an important national labour story over the coming decade. Canada’s construction industry must face the challenge of the retirement of more than 261,000 workers – 22 per cent of the current labour force. Based on historical trends, Canada’s construction industry is expected to draw in an estimated 221,300 first-time new entrants aged 30 and younger from the local population. Much of the expected entry of young workers will depend on industry’s ability to keep youth interested in the trades. The development of skilled tradespersons in the construction industry takes years, and often requires participation in a provincial apprenticeship program. An ongoing commitment to training and apprenticeship development will be necessary to ensure there are sufficient numbers of qualified tradespeople to sustain a skilled labour force over the long term. Building a sustainable labour force will also require the construction and maintenance industry to increase recruitment from groups traditionally underrepresented in the current construction labour force, including women, Indigenous Canadians, and new Canadians. In 2018, women represented just 13 per cent of the construction and maintenance industry labour force and accounted for only 3.8 per cent of workers employed in direct on-site project construction. Women employed in Canada, however, represented 48 per cent of the country’s total labour force. Similarly, Indigenous Canadians also represented a small percentage of the construction labour force, accounting for little more than 4.9 per cent of the total. Increasing the participation rate of both these groups would go a long way to helping the industry address its future labour force needs. Over the coming decade, Canada is seeking to admit an average of 300,000 newcomers every year, making the immigrant population an important future source of potential workers. New Canadians currently make up 18 per cent of Canada’s overall construction labour force. Copyright 2016 Mekomedia Enterprises Inc., 1554 Carling Ave. Suite 57, Ottawa, Ontario K1Z 7M4. phone (888) 627-8717 ext 114.